Be Careful of cheap imitations. If it does not say Flawless it’s not the original! Want an easy and painless way to get rid of unwanted facial or body hair? Who has the time or money for waxing? Now, you have an alternative to waxing that doesn’t irritate your skin. That’s right – a hypoallergenic way to remove unwanted facial and body hair. 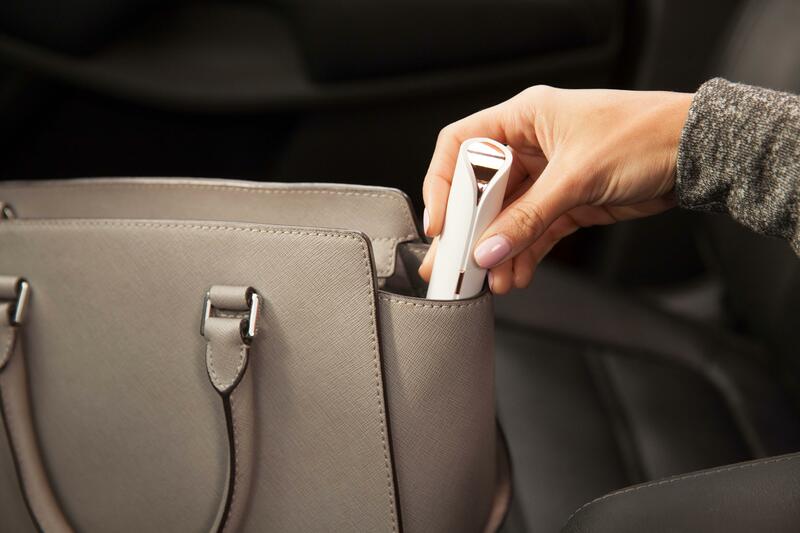 This discreet and stylish facial and body hair remover is sleek and discreet. No one has to know what’s really in your bag! The NEW Gold Standard in Facial Hair Removal from Finishing Touch. 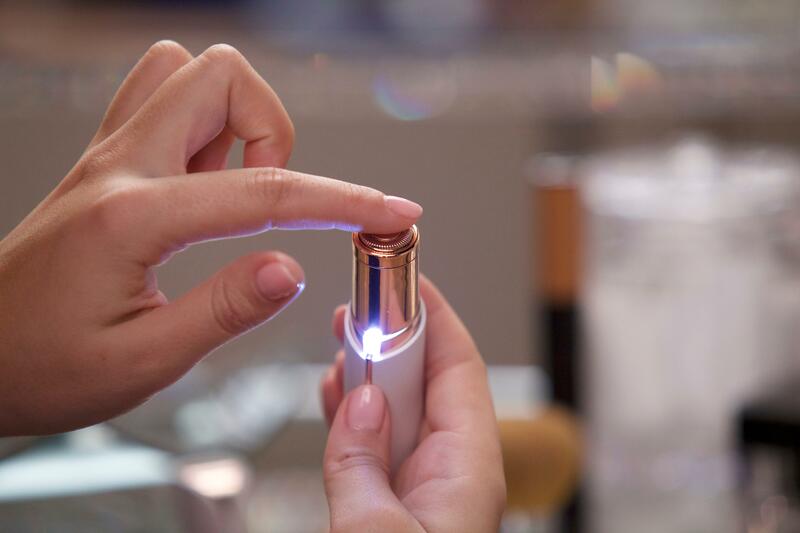 From the world’s #1 facial hair remover for women comes Flawless – a revolutionary new device that erases facial hair instantly and painlessly. 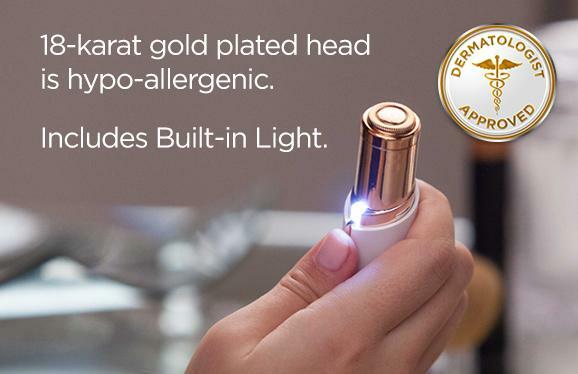 Recommended by dermatologists, the 18K gold-plated head is hypoallergenic and gentle on all skin types. Built-in light so you never miss a hair! No nicks, redness, or irritation. A finish as smooth as waxing! And, with facial hair gone, your makeup application is easy and FLAWLESS. For FLAWLESS feel and a FLAWLESS finish – you can trust Finishing Touch FLAWLESS. Requires 1 AA Battery, included. Suitable for women and men of all ages! Excellent service and very happy with the product ordered.